He credits his appearances at conventions for helping him become known to his fans since he isn’t recognizable with the make-up on. 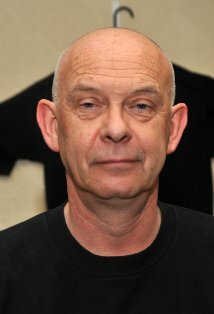 He is known more as Pinhead then the character of Lylesburg in Nightbreed. There’s always an interest in Nightbreed and that interest has been raised recently with the attempt to restore it back to the movie Clive Barker intended to have released in 1990, Bradley said. Bradley and Barker became friends in high school in Liverpool back in the 60s when they were in a play together. He describes his friend as “the most extraordinary person I’ve met.” He says he “tries not to throw the word genius around lightly,” but he does apply it in Barker’s case. Bradley said people expect Barker “to be weird and fucked up and sacrificing virgins [and] biting the heads off live chickens. For all I know, he may do all of that,” he jokingly said. “For all these decades, it has been a privilege to be close to that process,” Bradley said. Barker is one of the reasons he turned down portraying Pinhead in the ninth installment of the franchise, Hellraiser: Revelations, which came out last year. Bradley hasn’t seen the movie, which had a microscopic budget and a brief shooting schedule, he said. He has heard about the movie from fans and nothing of what he is hearing about it is good, he said. 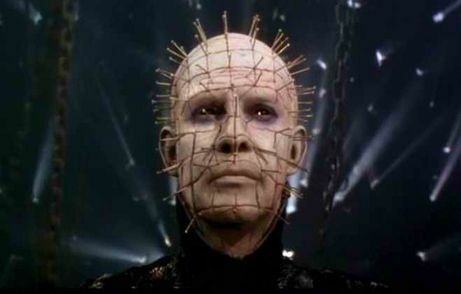 When he first became Pinhead, it took him five to six hours in the make-up chair, but it was shortened to about three to four hours by the time he made the eighth movie in the franchise. The longest time he was in the make-up for was 18 hours. It all depended on what was needed of him, he said. He could be needed for one scene or for several. These days he is enjoying just acting and doesn’t have any aspirations to direct. Besides acting, he has written a screenplay and a book. 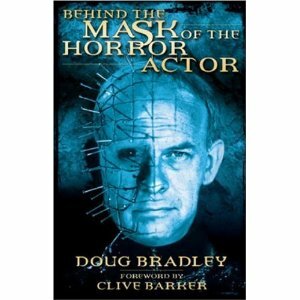 The impetus for his book, Behind the Mask of a Horror Actor, “goes back to his relationship with Clive” and how they were always working together for ten years in the theater before Hellraiser. When asked about writing an autobiography, he isn’t thinking about writing one because it feels to him if you write one “your life and career are over,” which he feels he is nowhere near that point yet. Bradley recently read Lance Henriksen’s autobiography, Not Bad for a Human. 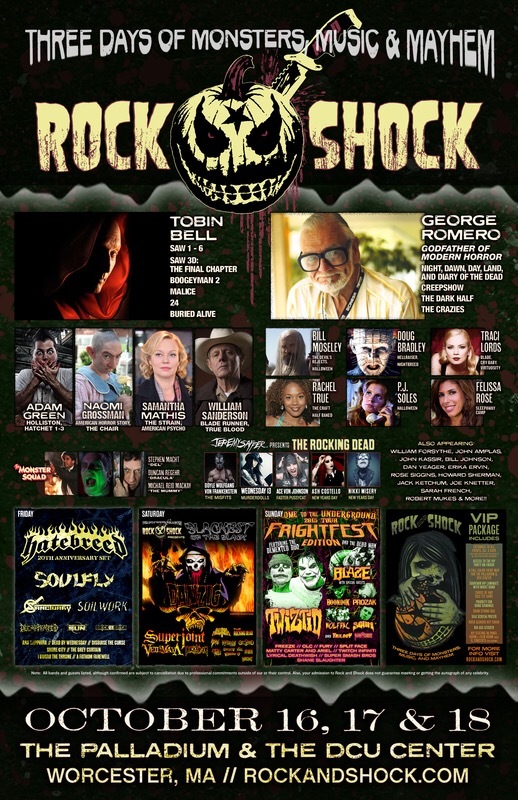 Bradley will be attending Rock and Shock this weekend at the DCU Convention Center & The Palladium in Worcester, MA.